Marvelous Games has announced a localization for UPPERS, a 3D brawler that previously released on the PlayStation Vita in 2016 and never left Japan. While the Vita version is staying untranslated, Marvelous is bringing the game to PlayStation 4 and PC with remastered visuals and improved performances. Slated to come later in 2018, this updated version of UPPERS will be bumped up to 1080p and run at 60 frames-per-second. It will also feature a robust localization, including not just English and the original Japanese, but French, Korean, Traditional Chinese, and Simplified Chinese. 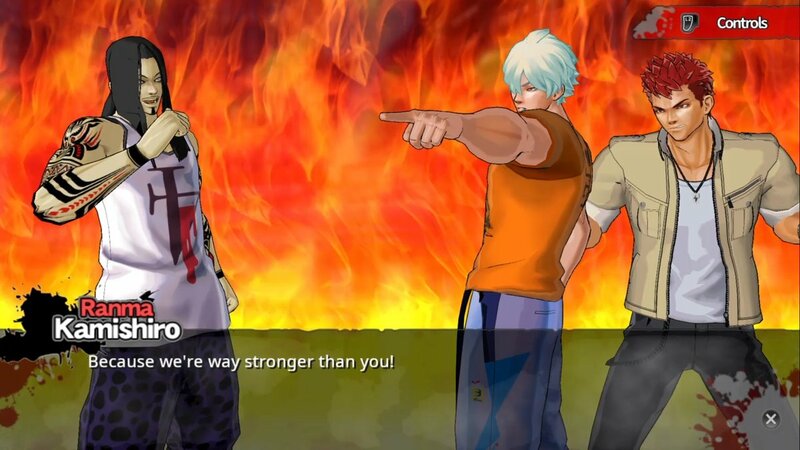 Produced by Senran Kagura‘s Kenichiro Takaki, UPPERS is about Last Resort, an island that is completely abandoned. Well, save for a population of thugs and bandits battling it out over the affections of a group of thrill-seeking girls. Players can choose from a roster of 13 brawlers and will not only battle hordes of other thugs, but also chase challenges issued by the audience of bloodthirsty women. Marvelous paired the announcement with a high-octane trailer, showing off the madness of UPPERS, which includes colorful visuals, extravagant and brutal special moves, bizarre-looking characters, and a corny gag at the end that reminds us that Kenichiro Takaki was involved.